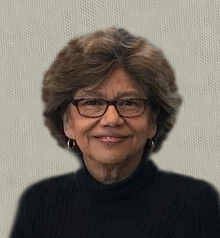 Anita Mihulka, age 71, of Horace, ND, died Monday, September 3, 2018 at her home surrounded by her family and friends. Anita Esquivel was born January 11, 1947, in San Marcos, Texas, the daughter of Gasper and Carmen (Ramirez) Esquivel. She grew up in San Marcos where she attended Catholic School. She then attended Beauty School in San Antonio, beginning her 50+ year career as a beautician/hairdresser. Anita was united in marriage to Stephen Mihulka on October 10, 1971 in San Marcos. They moved to Grafton, ND, in 1975, and Anita was employed at Hair Kamp in Grafton until 2013. They moved to Horace that year, and Anita worked in the hair salon at Edgewood Vista until 2017. She loved her grandchildren and enjoyed attending their many activities. Anita also enjoyed watching birds and she loved to fish. She was involved with a crocheting group and women’s Bible study at Holy Cross Catholic Church. She also enjoyed her monthly get-together with the “Grafton Gals” now living in Fargo. Anita is survived by her husband Steve, a daughter Christina (Danny) Graves, Fargo, a son Michael (Amy), Fargo, 7 grandchildren, two sisters, Sis. Adelaida Esquivel and Mary Barnhart, both of San Marcos, Texas, and a sister-in-law, Dottie Esquivel, Lockhart Area, Texas. She was preceded in death by her parents and two brothers, John and Pete. Anita’s family would like to thank the caring staff of Hospice of the Red River Valley for their wonderful and compassionate care. Funeral Mass: 2:30PM Monday, September 10, 2018, at Holy Cross Catholic Church, West Fargo, ND, with visitation one hour prior to the Mass.